Pros: Classic design not much great about it not much bad about it just does its job as it's supposed to. We can help with this issue. Test one module at a time with AUTO default settings to see if any errors are detected. Also, make sure to have the latest BIOS for the motherboard. If you continue to have a problem with the new kit, please let us know and we can further troubleshoot. Once you purchase G.Skill, we will make sure the product is working flawlessly. Cons: The system won't post with the second stick of RAM. We are sorry to hear you are having such issues. Please send the memory in for RMA exchange and a new kit should work much better. This is an extreme performance memory kit that should work well for any motherboard and CPU that can support it. To confirm motherboard compatibility, check the G.Skill QVL for certified combinations. Hopefully the CPU memory controller can support full DDR4-3600. Should you need help with set up or have any questions, please don't hesitate to contact us directly. Other Thoughts: I have this mated to a temporary CPU right now (i3-8100) so I'm not using this RAM anywhere near its full potential. But I'm sure it will be up to the task when I eventually upgrade to i5/i7. Pros: - 3600mhz a lot of headroom for overclocking RAM. - It was a and still is good buy at the time of purchase is a good price. - It works at 3333mhz in a Asrock x370 Fatal1ty Gaming X Ryzen system with a R7 1700. Thank you for your G.Skill purchase and review. Good to hear the memory is working well in your new AMD Ryzen build. DDR4-3600 is an extreme frequency that is not supported by any motherboard or CPU. 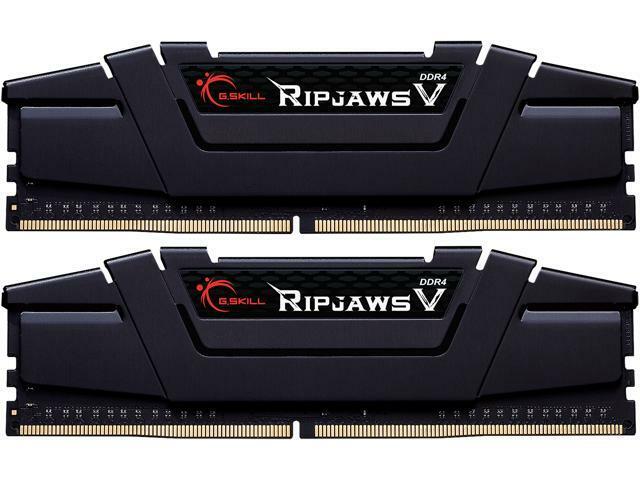 To achieve the rated specifications of the RAM, refer to the G.Skill QVL for certified combinations. Motherboards on the G.Skill QVL have been tested fully capable of the RAM's rated specs with a supported CPU. In any case, DDR4-3333 is plenty fast so your computer should be performing great . To add more RAM capacity, it is advised to use a new matched kit. Otherwise, if two separate kits are used, it is up to the user to test and see what the two kits can reach together in a system. Some times results are good, other times they do not work at all, so it is the risk taken when using multiple kits. For any other questions or concerns, please feel free to contact us directly. Pros: One of the ram is working as paid for and currently able to run the computer with 4 gb of ram. Cons: The other ram is defective and won't even start the computer up. Other Thoughts: I believe it worked well for at least a month before I started getting lots of BSOD. I was able to find out that the problem was with one of the ram. I would highly recommend this product to everyone had it both worked but unfortunately it is quite disappointing. We apologize for the inconvenience. It is odd a module began to have problems so quickly, but please send it in for RMA exchange and a replacement should work flawlessly. With a new kit, make sure to enable XMP or configure settings in BIOS/EFI, and that should allow the system to operate fast and smooth at maximum performance. Visit the G.Skill website for complete RMA procedure. For any questions or concerns, please feel free to contact us directly.